Today’s show & tell is this gorgeous brioche scarf made by Julie. 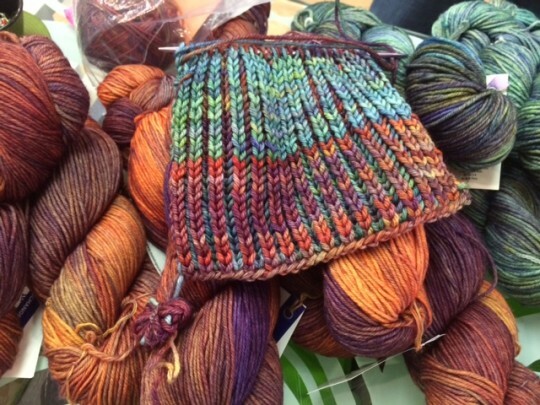 She is using Malabrigo Rios in colours 850 and 416. Beautiful! We’re back! Thank you for your patience, everyone. Our Canada Knit-a-Long winner for the month of March and the province of Quebec is Esther!! 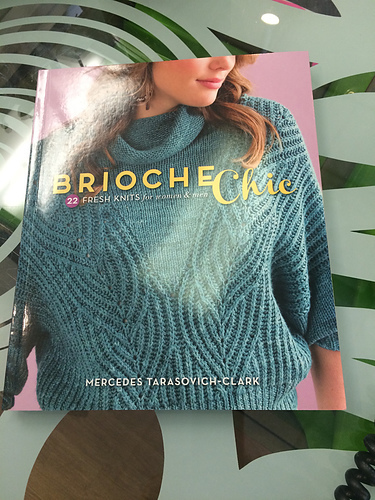 She wins a copy of “Brioche Chic: 22 Fresh Knits for Women & Men” by Mercedes Tarasovich-Clark. Esther’s project was the Brixter hat by Tanis Lavallee. Congratulations!! 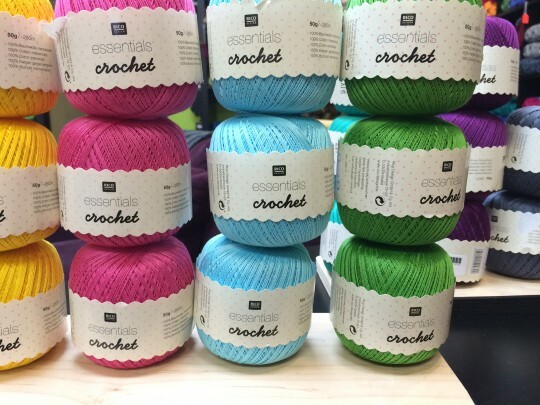 Our new shipment of Rico Essentials crochet cotton. 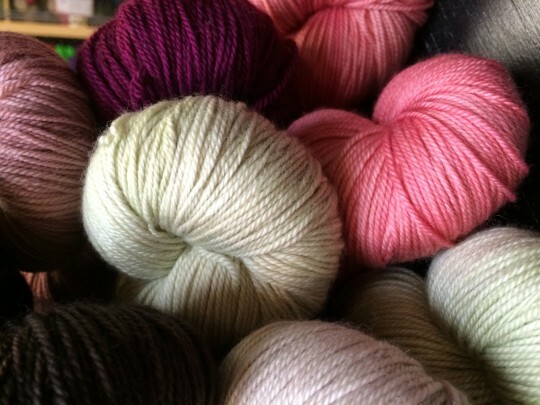 It’s a lace weight in a 50 gram, 306 yards/280 metres ball and we have 20 gorgeous shades in stock. 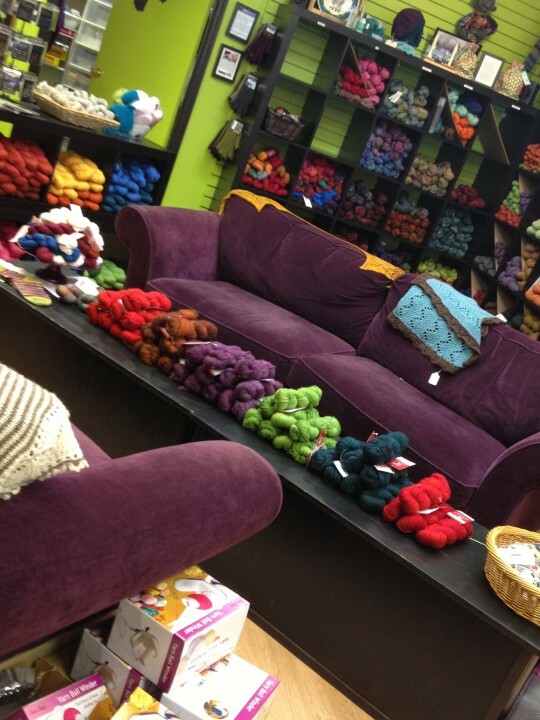 Come for the cotton, stay for knit & crochet night!